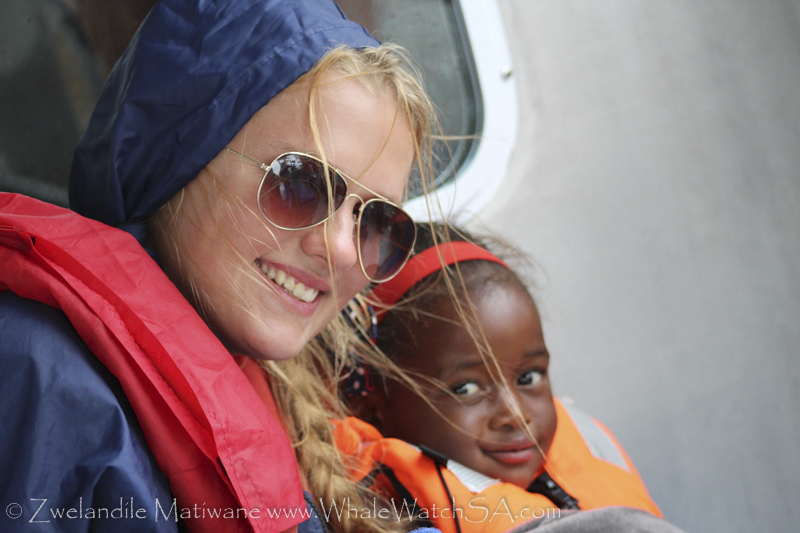 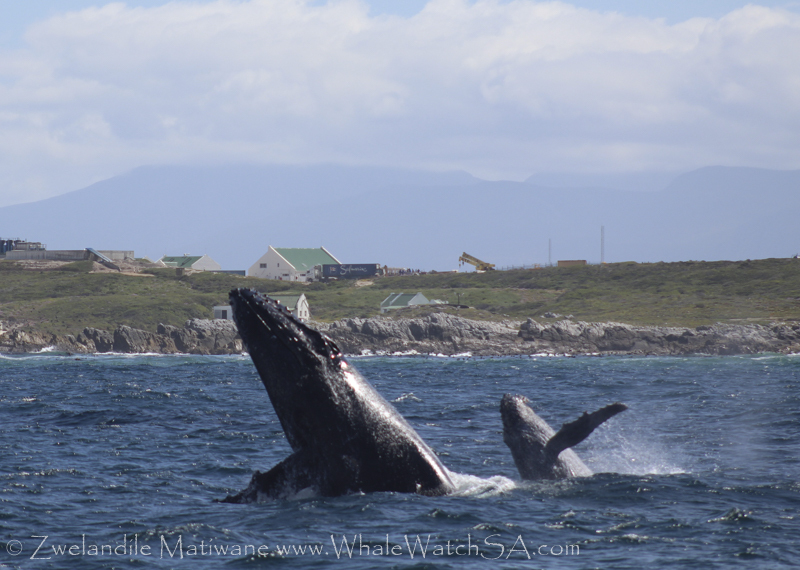 We started our first tour of the day launching from Gansbaai, and at Danger Point we had an incredible couple of minutes with humpback whales breaching out of the water. 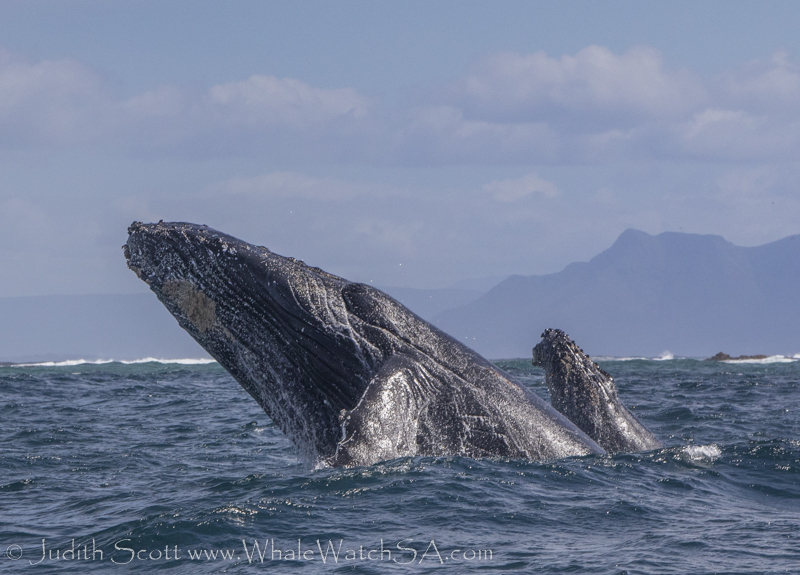 There were at least two mothers with their calves breaching and a couple of times there were double breaches, with both of them out at the same time. 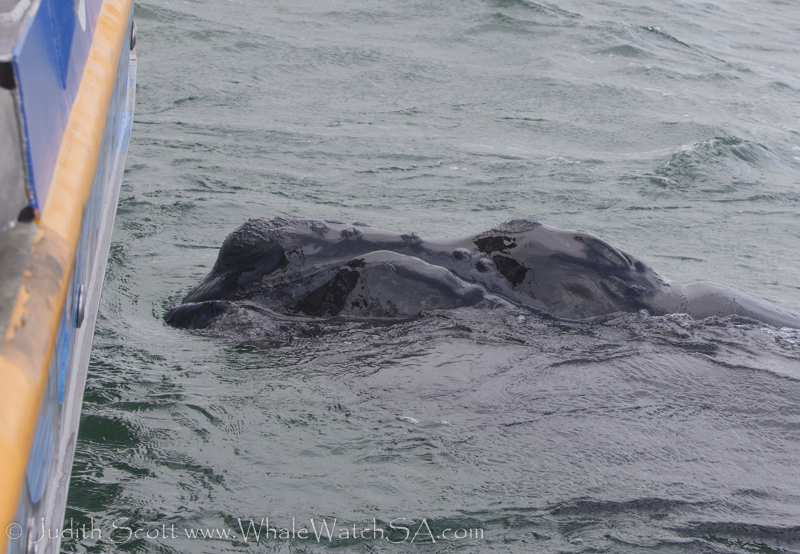 This was an incredibly lucky sight to see and very rare. 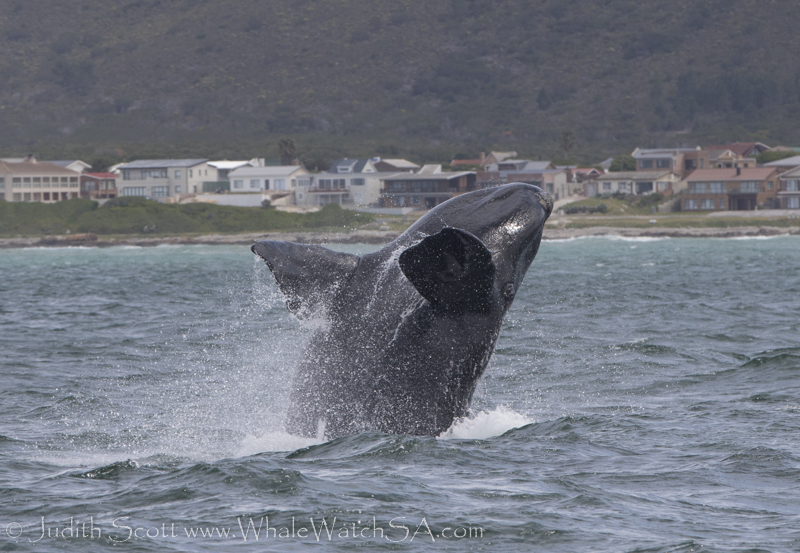 We were very lucky on this tour and also got to see southern right whale calves breaching also when we watched them in the shallow water. 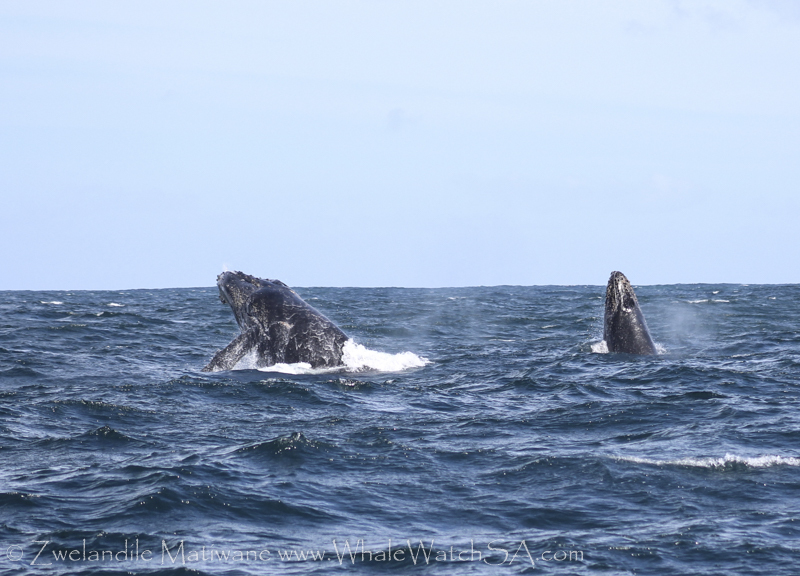 On trip two we spent some quality time once again with the southern right whale mother and calves, getting to see the whales roll around and playfully interact. 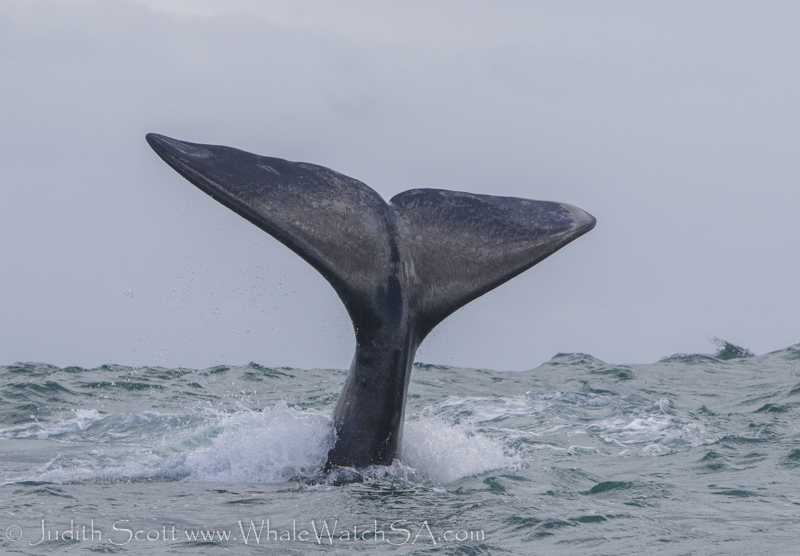 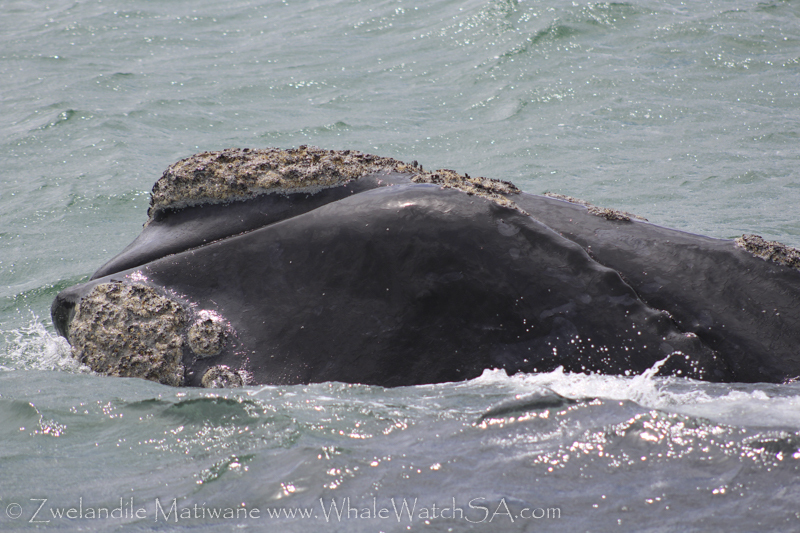 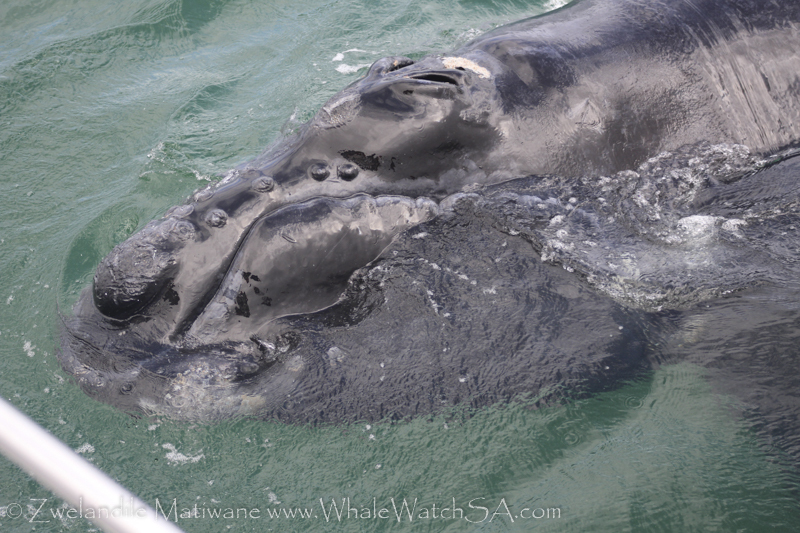 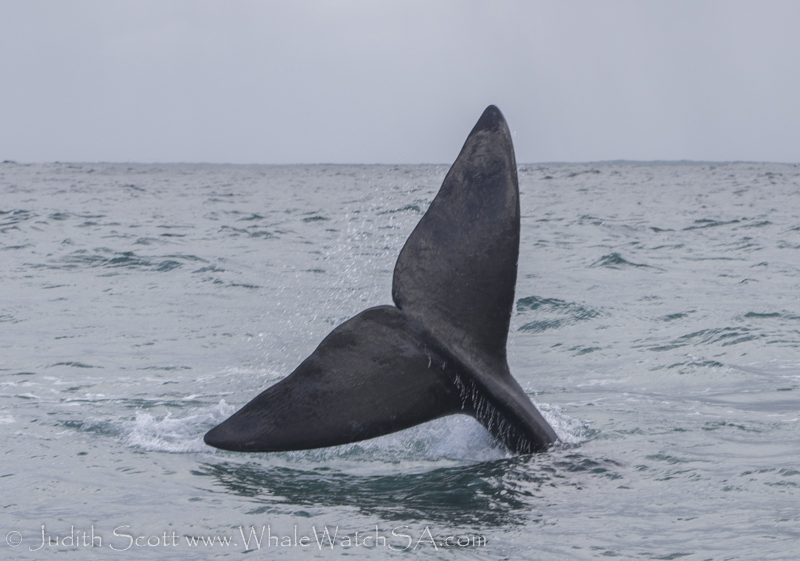 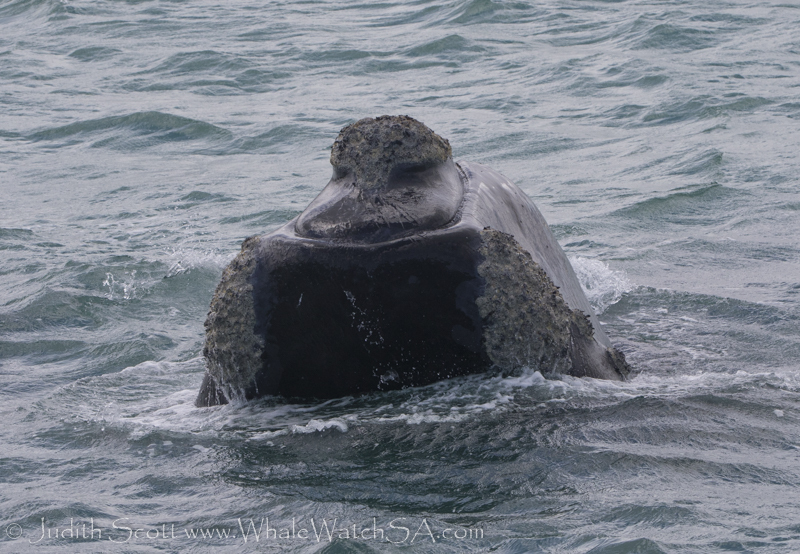 This tour also got some very nice close approaches by the southern right whales. 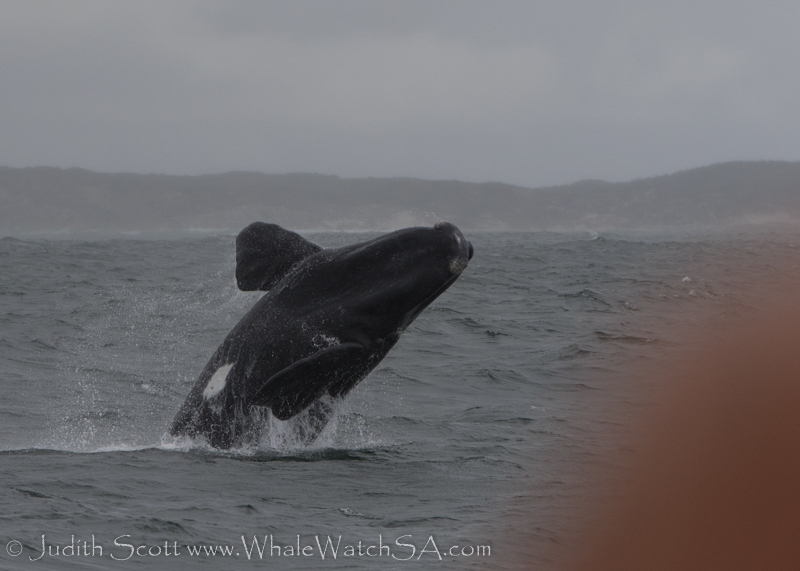 On trip three we suddenly had a big shift in weather with wind and rain, but this meant the southern right whales became very active with breaches and one calf doing repeated high lobtails very close to the boat. 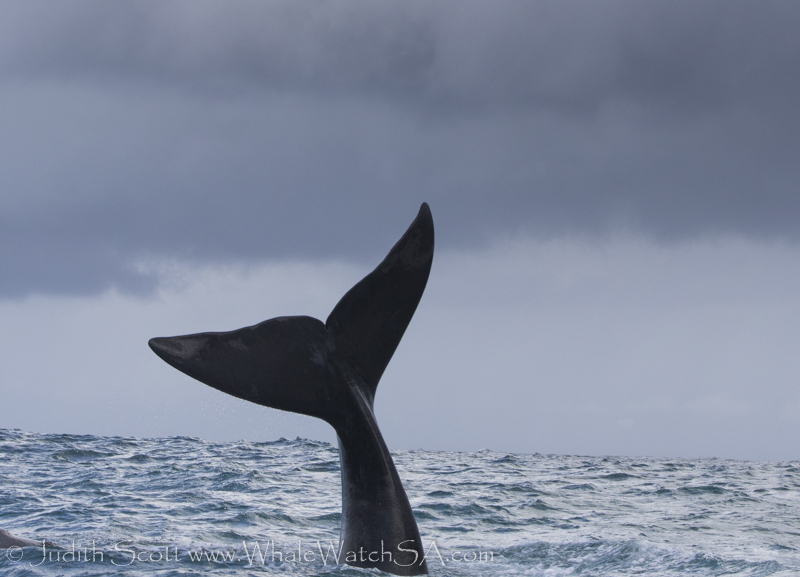 This looked so dramatic as the boat moved up and down in the waves. 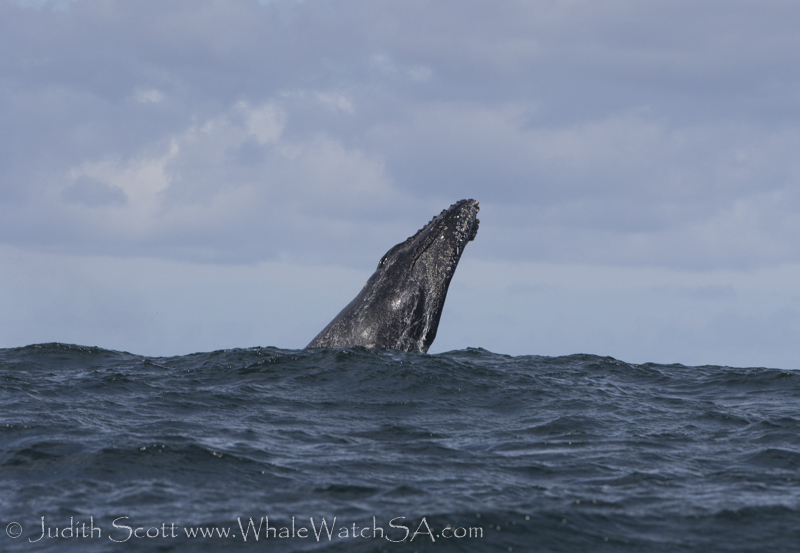 We also had one very close approach by a calf on this tour as this curious little whale came over to take a look at us bobbing on the waves! 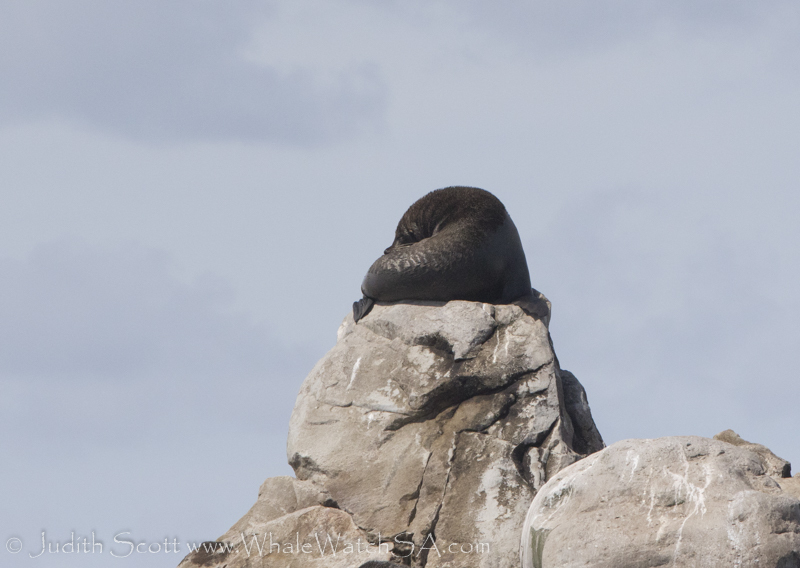 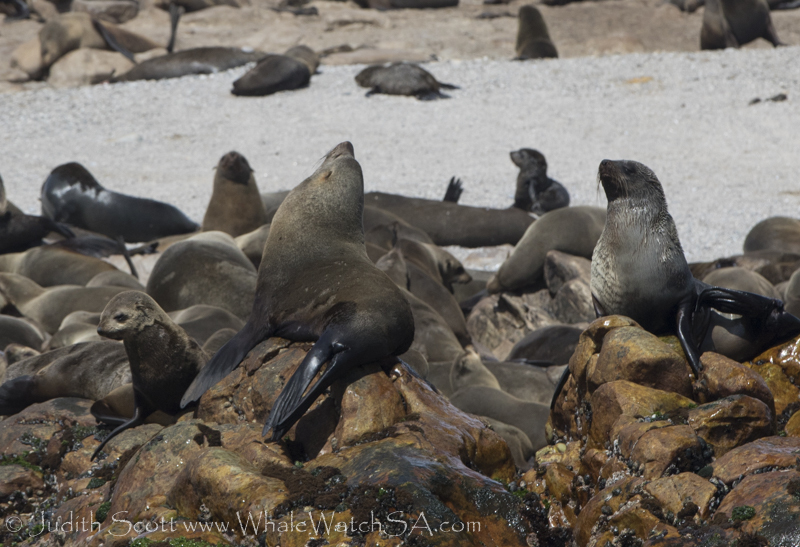 All three trips also got to see the amazing cape fur seal colony on Geyser rock and the first and second trips got to see African penguins also. 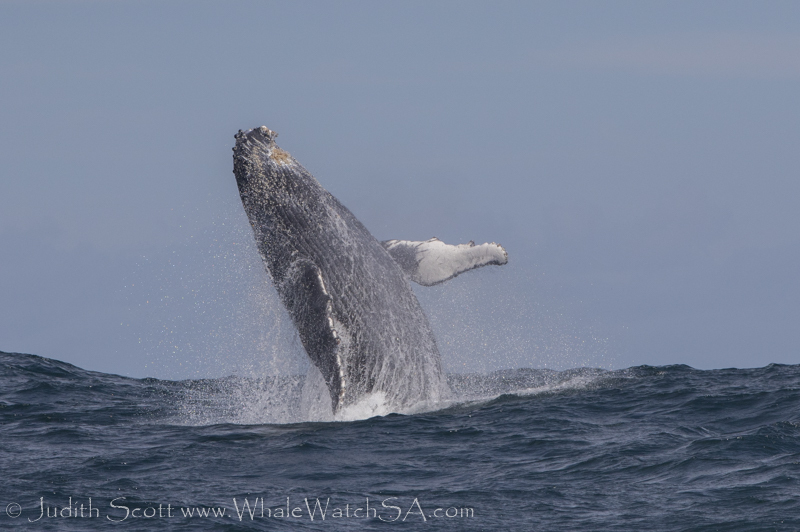 However the whales today were certainly the major highlight.